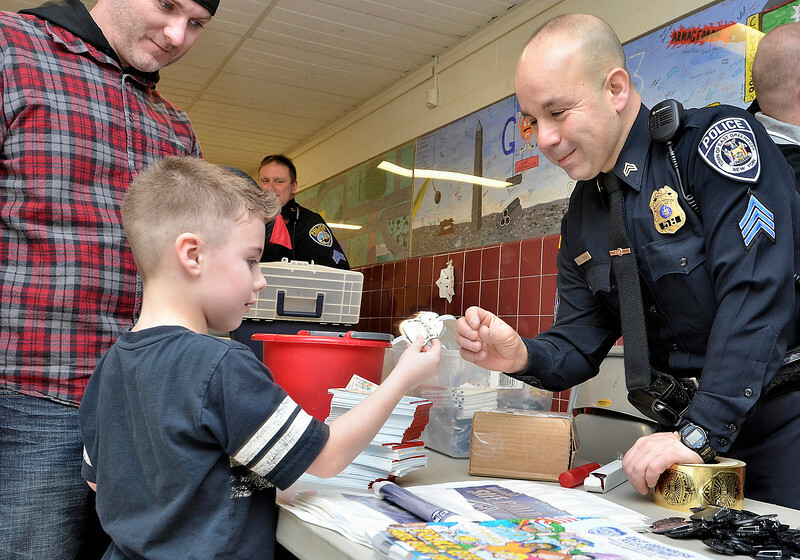 Mike McMahon - The Record, L-R Devin Hayner, with dad Joh watching, gets a badge from East Greenbush Police Sgt Ernest Tubbs, WinterFest was held at Goff Middle School, East Greenbush. Event encourages all students to become more civic-minded and involved in community events. , January 18, 2014.